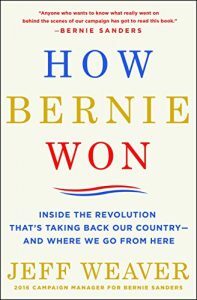 Review: How Bernie Won: Inside the Revolution That’s Taking Back Our Country, by Jeff Weaver, St. Martin’s Press, 2018, 363 pps. 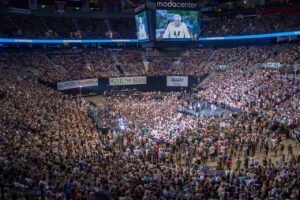 Sept. 6, 2018–From the title on, author Jeff Weaver, Bernie Sander’s 2016 campaign manager, challenges the common perception of the outcome of the U.S. Presidential election. Although Bernie lost the Democratic nomination, resulting in the presidential win of Donald Trump, Weaver argues, he has succeeded in setting off an economic and political revolution in the country. This book is a “must read” for anyone who wants a political insider’s account of what actually happened in the election cycle of 2016–particularly in the Democratic Party–and continues to happen to this very day. The Democratic Party, and U.S. politics in general, is being shaken to its very core. Weaver’s book is not just about Bernie’s presidential run, but reflects on the Senator’s whole political and personal history. Although Jeff weaves many anecdotes and examples of personal stories and party infighting into his exposé, he addresses the subject matter from a much larger polemical and analytical standpoint. 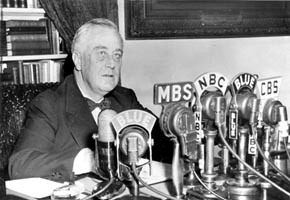 He heavily refers to FDR’s 1944 State of the Union address, especially the part on the Second Bill of Rights, as the way forward, and even includes the speech in his book. “I have been warned you won’t read it,” he challenges the reader. Weaver’s book is rich not just in insight, but also in proposing solutions, particularly on how the Democratic Party must correct its mistakes. He goes through the minutiae of party rules and electoral outcomes in detail, but he insists that the broad analysis is more important than anecdotes. History is changed by bold ideas, not “incrementalism,” he argues. The big idea in this book is that the Democratic Party must return to the tradition of Franklin Delano Roosevelt. The New Democrats abandoned the working class, and adopted free trade policies, Welfare Reform, the Defense of Marriage Act (DOMA), Capital Punishment, the tech bubble, etc. 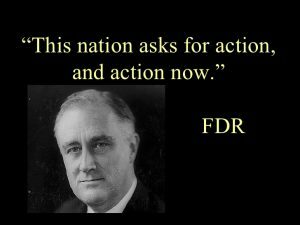 In his inaugural address, FDR demanded action for working people. Ironically, it was at this same time that Bernie Sanders was elected to Congress in Vermont in 1990, which put him in a position to eventually run for president. Proving how the long arm of history actually works, “All these chickens would come home to roost in 2016 for Hillary Clinton,” Weaver says. Bernie Sanders has always been a political outsider, and since 2015 he has succeeded in forcing the Democratic Party to bend to his policy direction. Despite losing the Democratic Party’s nomination, he chose to work within the party, and to try and reform it. Some fruits of his efforts were visible at the just-concluded August Democratic National Committee (DNC) meeting in Chicago. 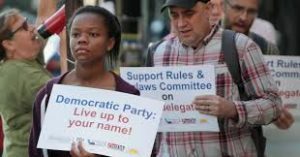 At that meeting, the party was forced to overhaul its structure to limit the power of the super-delegates, and move toward returning party control to the grassroots. This was a direct result of the DNC initiating the Unity Reform Commission during the Democratic Convention. This shift will significantly change the party nominating process for president. The Democrats also hope that by initiating other policy decisions, they will win a “Blue Wave” in 2018. Weaver’s book holds lessons for that effort. He captures the excitement of the Bernie campaign, but more importantly, stresses where it fell short, and what has to be done differently, not to just win elections, but move the country forward. Weaver makes clear that building the party, and reaching out to those who have been left out, particularly Independents, is the way to save the country. That’s why Bernie, believing that “People are hurting everywhere,” campaigned throughout the country, and raised millions for down-ballot candidates. Weaver’s use of an FDR quote on the General Welfare is quite apropos at this point. 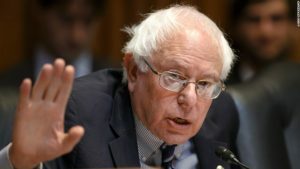 For over three decades, going back to 1986, Senator Sanders has been consistent in his views; so consistent, that Weaver admits that he can recite some of Bernie’s speeches by heart. As most people know, Bernie is most identified with promoting single payer health care, tuition-free college, raising the minimum wage, Wall Street reform, and overall, shifting the system to one of income equality. He is a co-sponsor of the Warren-McCain Bill, calling for a 21st Century Glass Steagall. Throughout Weaver’s account of the election, he unabashedly declares that, “To the extent our campaign bears any responsibility for Trump’s victory, it is that we did not defeat Hillary Clinton.” He takes on DNC chair Debbie Wasserman Schultz for her role in trying to shut down Bernie’s campaign to assure Hillary the nomination. When Weaver joined the campaign in 2016, Bernie was still an unknown, but, nevertheless, they were both in it to win. And to this day, Weaver believes that Bernie could’ve beaten Trump. Throughout the campaign Bernie worked to bridge the racial and economic divide, and raised more small contributions than any other presidential candidate in history. 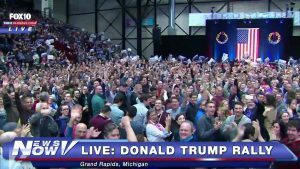 In the speech following the New Hampshire primary, in 24 hours he raised $6.5 million. Overall, his campaign totaled $228 million from over 8.2 million contributions. This was quite a leap from its original budget of $30 million. On October 13, 2015, 40% of voters did not know who Sanders was compared to Hillary. In retrospect, that was maybe not such a good thing for her. Bernie focused on the positive, and did not engage in negative attacks, especially on the Hillary emails. He wanted a real debate on the substantive policy issues. 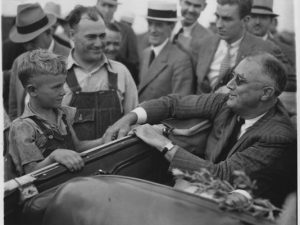 In an ironic twist, after Bernie lost the Democratic nomination, Trump cunningly grabbed onto the FDR idea, invoking the “forgotten man” into his speeches, and went on to victory. As we all now know, Trump quickly turned his support to Wall Street and reneged on his promises, although he would be quick to tweet the opposite. Bernie is the real deal; Trump is not. According to Weaver’s recollection, the Bernie campaign escalated in November 2015 based on four things: paid media ads; the CBS debate; the exposure of Wasserman Shultz’s efforts to shut down the campaign; and Bernie campaigning full time. DNC Chair Wasserman Schultz pulled numerous shenanigans for Hillary to win. Weaver extensively details how this shutdown was designed to cripple the campaign’s outreach into Iowa, where the caucus was to be held in one month and a half. No calls or emails could be sent out. He contends that this was a deliberate attempt to torpedo Bernie’s efforts in the Iowa Caucus. It came on top of other preferential treatment given to the Clinton campaign by the DNC, and outright political and financial warfare against Bernie. Most likely the Clinton campaign had access to Sanders’ voter IDs. Sanders’ campaign paid $250,000 for DNC access, while the Clinton campaign paid nothing. The DNC never set up joint fundraising events as promised. Around the time of the March 9, Miami debate, stories were breaking on Hillary’s connection to Wall Street. She had made ninety-two speeches during the period of 2013-2015 at approximately $225,000/speech, collecting $21.6 million. There were eight speeches to big banks, totaling $1.8 million, which included three speeches to Goldman Sachs. She cheated at least three times during the debates, either by false accusations about Bernie’s record, and in the case of Ohio, by being given the question regarding the death penalty in advance by DNC official Donna Brazile. But, despite the exposure of all this, Bernie lost big. Trump received more free media time than Hillary, while Bernie came in last on that count. It’s estimated that Trump got $5 million in free media, twice as much as Hillary. Trump campaigning in Michigan in 2016. Why? The media went for high ratings. Weaver sums it up: “That gift took a reality TV star to 1600 Pennsylvania Avenue.” Trump’s outrageous or offensive remarks were “good for media.” “Trump’s empty podium” before his appearance would even be featured, while the media could have been interviewing other candidates. All in all, through the DNC and media corruption, the election was rigged against Sanders from the very beginning, without any help from the Russians. It would appear that we are totally capable of stealing our own elections. For Hillary Clinton, the handwriting was already on the wall in the nation’s heartland. Despite this, during the last stretch, leading up to the June 7 primaries, Hillary was pulling ahead in the polls. The California Primary was fast approaching. Bernie was set to debate Trump, but Trump chickened out and cancelled. Bernie needed a big win in California to have leverage with the super delegates, who represented a crucial margin. Enter the corrupt media. The night before the primary, AP ran a wire that Hillary Clinton had enough super delegates to win the nomination, regardless of how the primary turned out. AP was caught harassing and influencing super delegates. Weaver claims that they were most likely given contact information by the Hillary campaign. As it turned out, AP made the whole thing up. With the loss of California, the discussion with super delegates to support Bernie had ended. Bernie drew an estimated 27,000 people to his final rally in Los Angeles. Bernie said he would support the Democratic nominee, while still being committed to advancing his progressive change. Thirteen million American voted for Bernie, giving him tremendous clout. The question was when and how he would support Hillary Rodham Clinton. His main policy demands included the removal of Wasserman Schultz, free college tuition, a modified single payer plan, adding a public option to the ACA, and offering Medicare to people in their 50s. Weaver calls upon the Democrats to learn their lesson, and send forth a new message. Weaver professes that “campaigns are fought in an historical moment.” ”Too many at the top of our own party are scared to death of the regular people in every corner of the country that Bernie Sanders gave voice to in 2016 and continues to give voice to.” With the recent “unity” vote by the DNC in Chicago, and the #1 objective to defeat Trump in 2020, is that historical moment for Bernie Sanders and the Democratic Party yet to come?